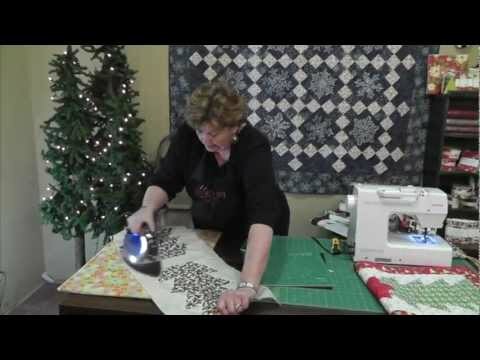 Holiday Tree Runner Quilt Pattern by Missouri Star - Missouri Star Quilt Co. - Missouri Star Quilt Co. Decorating your home for the season doesn’t always have to be a big production. Sometimes a simple touch such as adding a holiday table runner can achieve the just the right spark. All you need to make this runner is the Missouri Star 10” Half Hexagon Template and some 10” squares, oh, and a little time! Finished size: 19 1/2" x 50"